Uncle Scrooge found a magical necklace on a mysterious island, but the necklace put a curse on him! 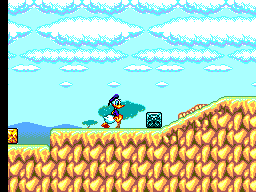 Now Uncle Scrooge is doomed to float around in the air forever! 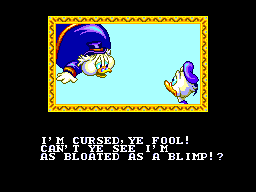 (Of course Donald always said Scrooge was full of hot air anyway.) 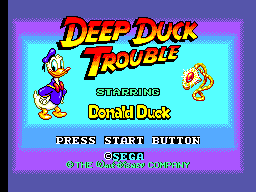 To take the curse off Uncle Scrooge, Donald has to take the necklace back to the island. But there's plenty of danger awaiting Donald there. How about lending him a hand?